Basket size: 350x350 mm, max. 195 mm heigh glass. 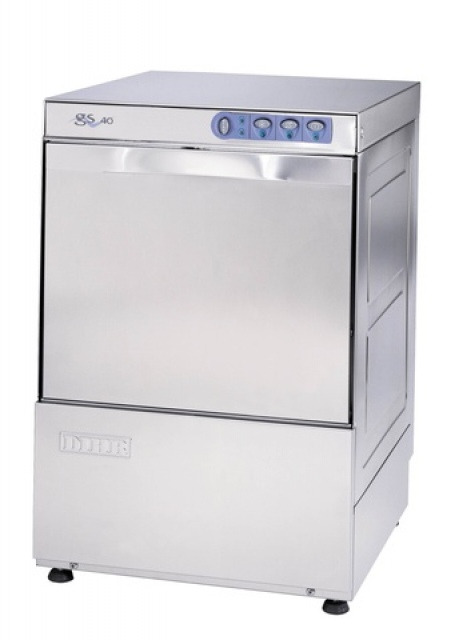 Washing efficiency: 30 Racks/Hour (water supply 50°C), washing cycles: 120 sec., net weight: 29kg, power supply:230V - 50Hz, water consumption cycle: 2 litres, with double skin door, baskets (accessory): 1 pieces for glasses, 1 pieces for cutleries.